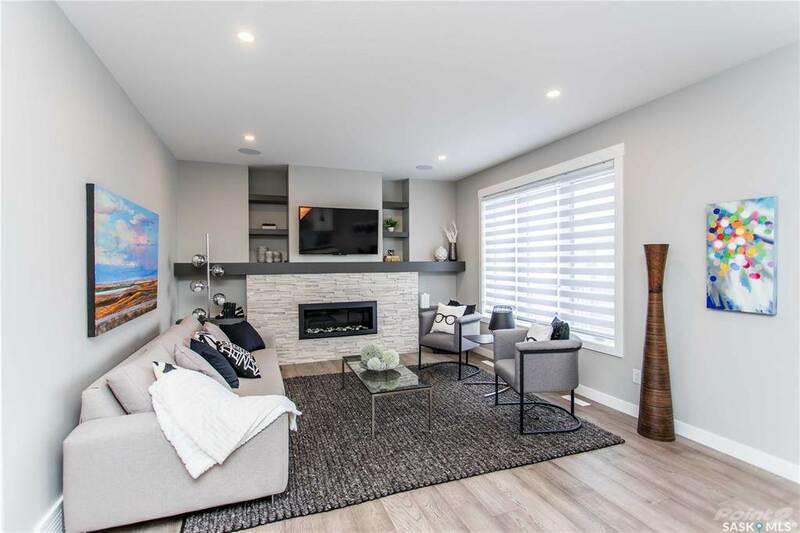 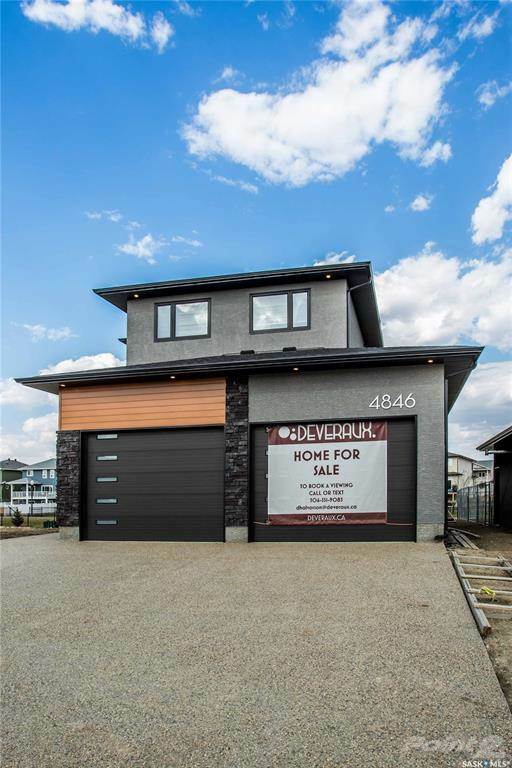 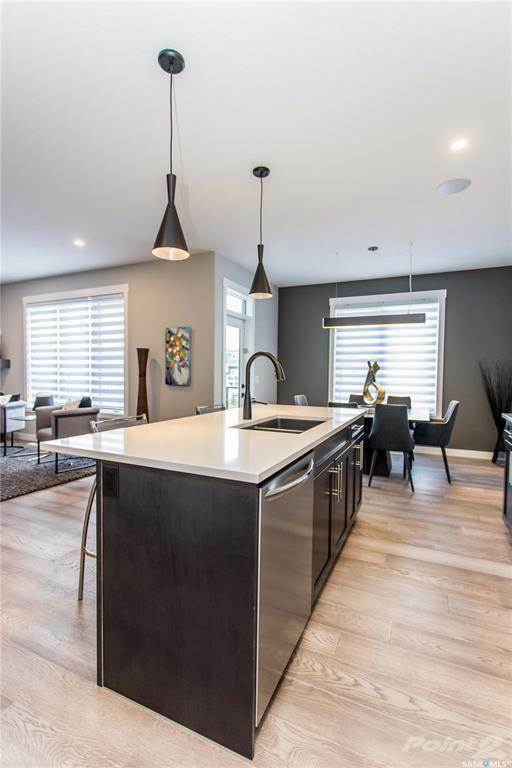 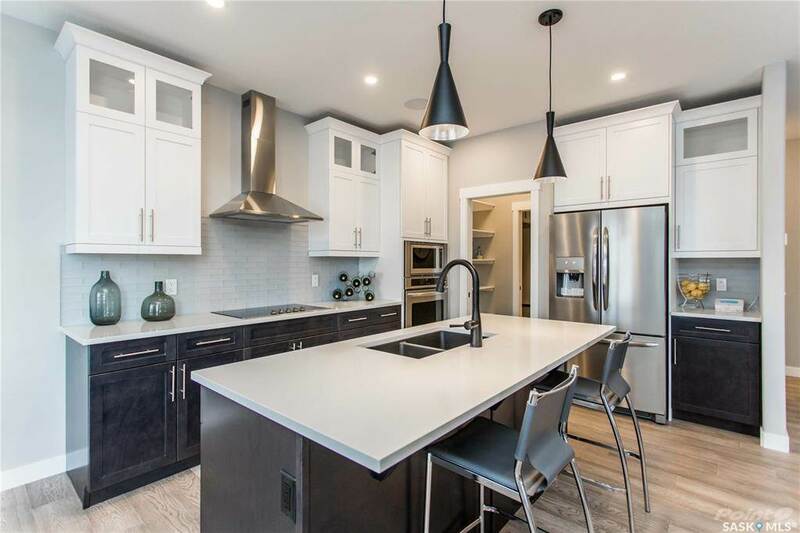 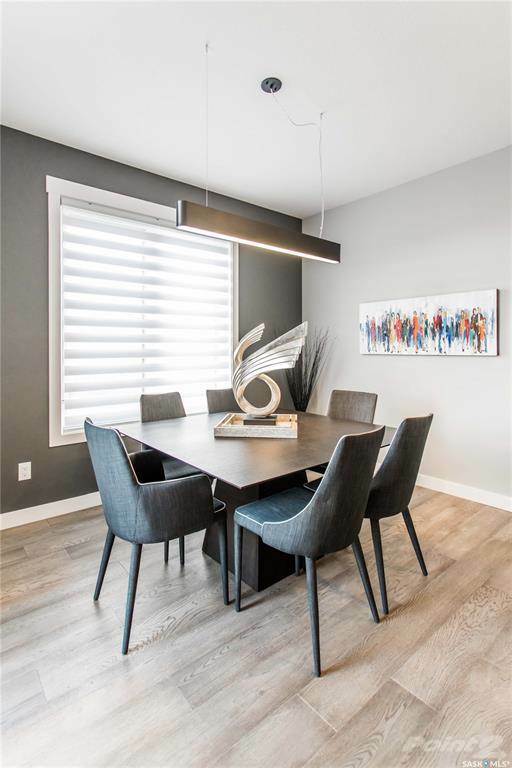 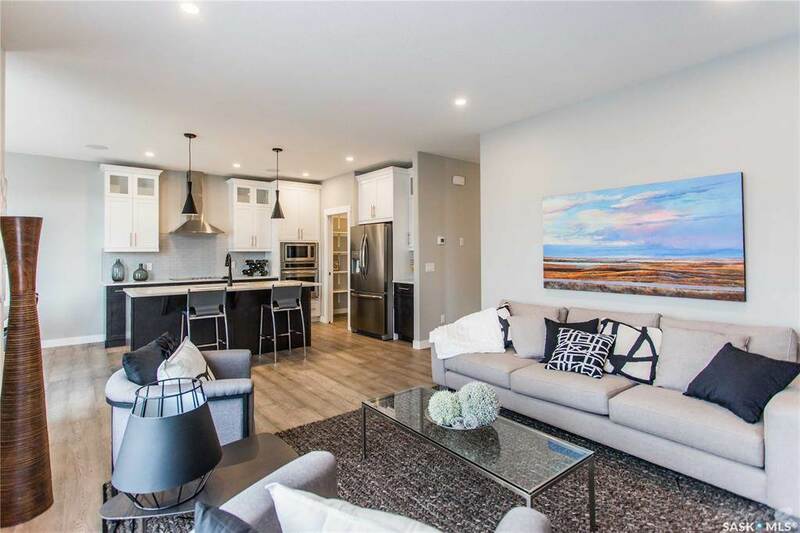 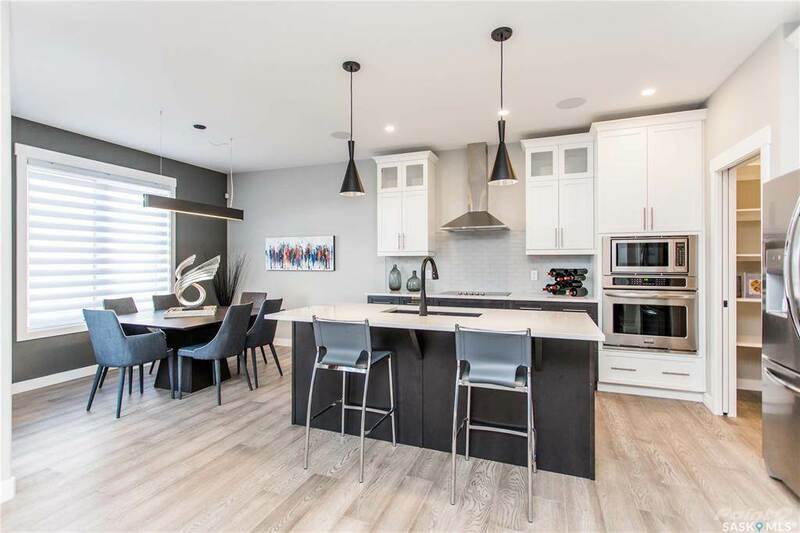 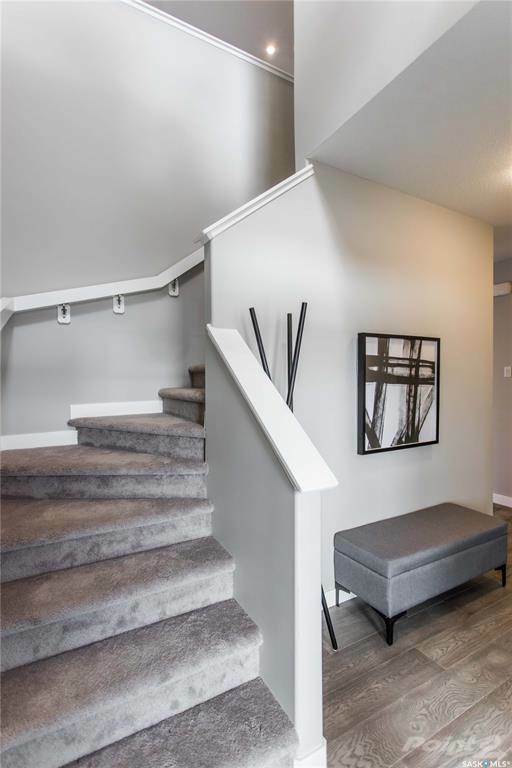 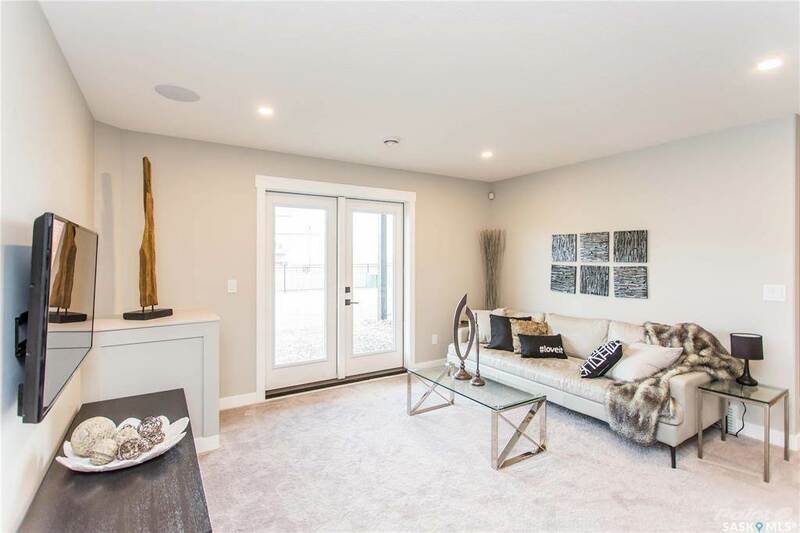 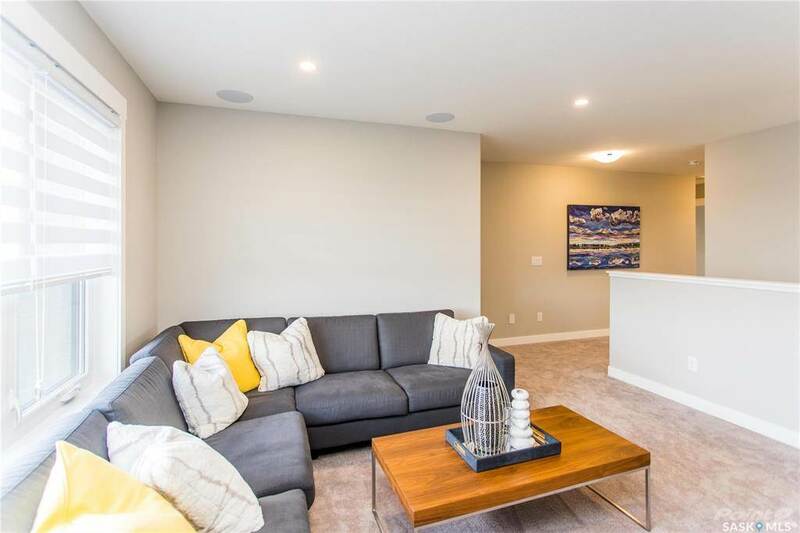 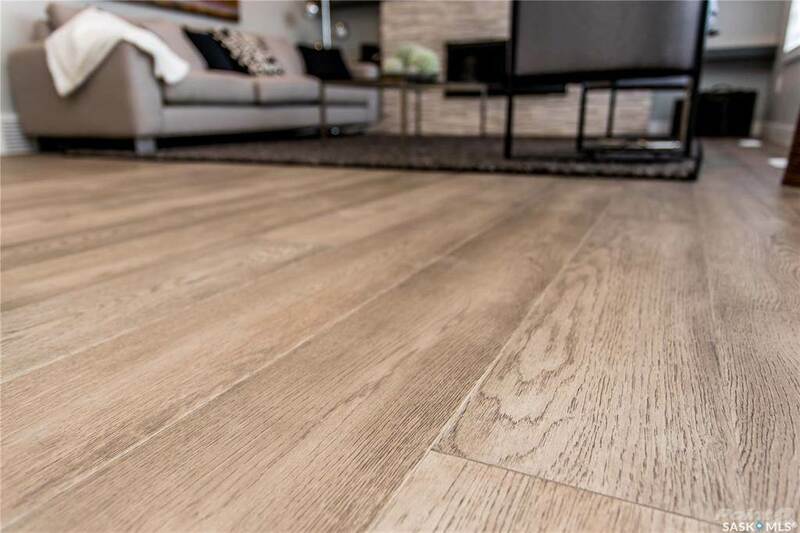 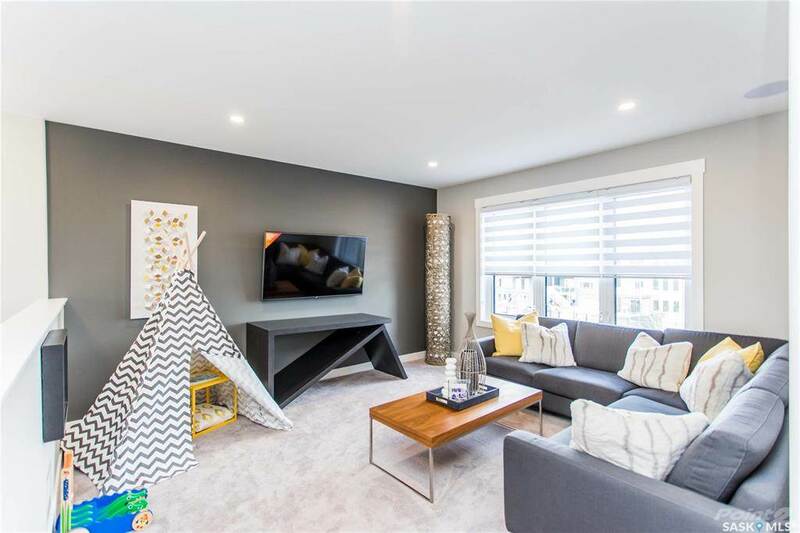 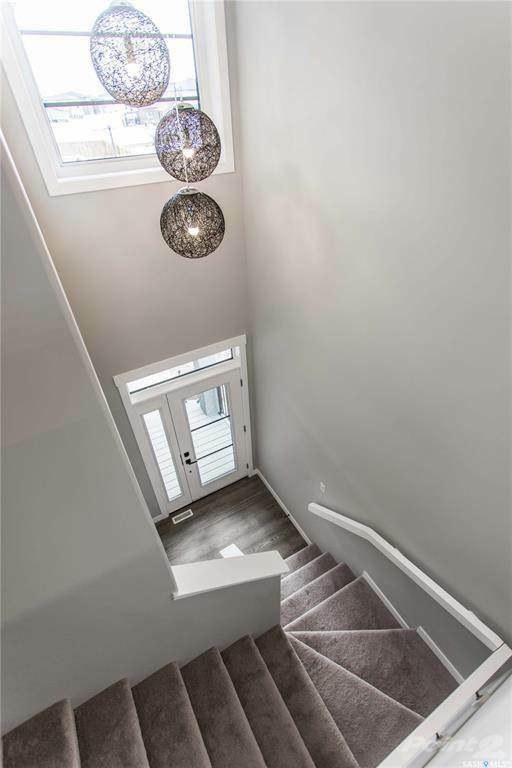 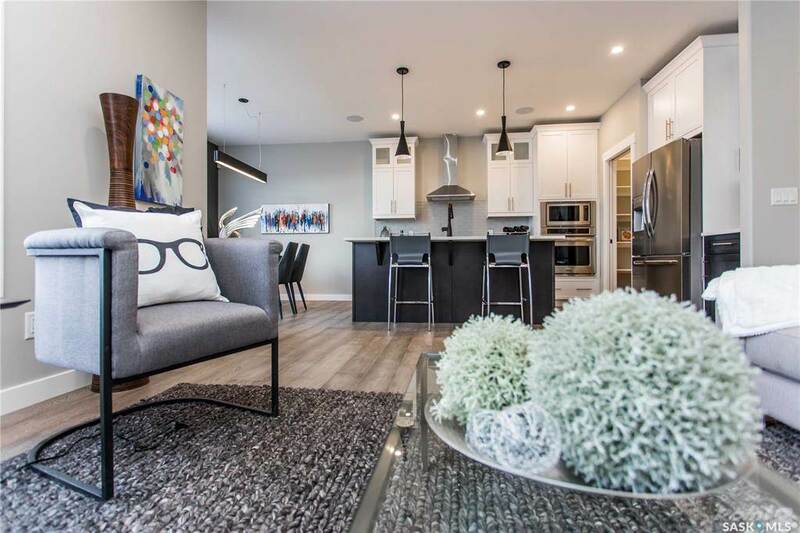 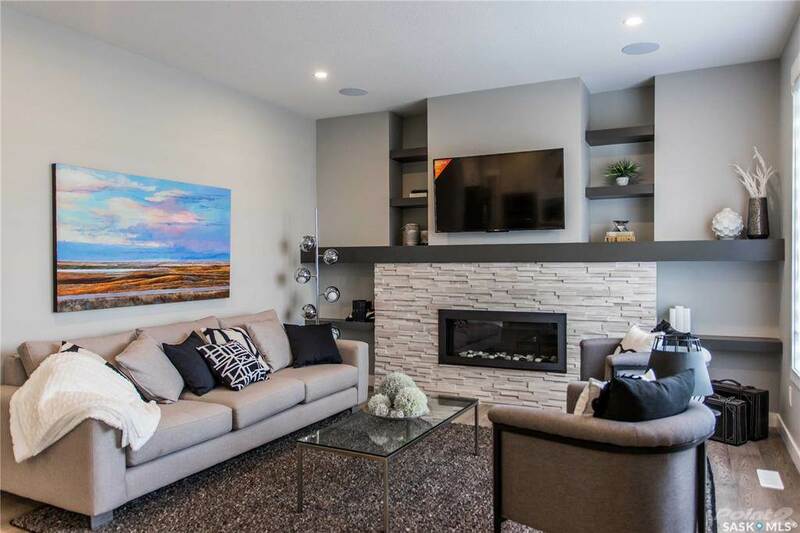 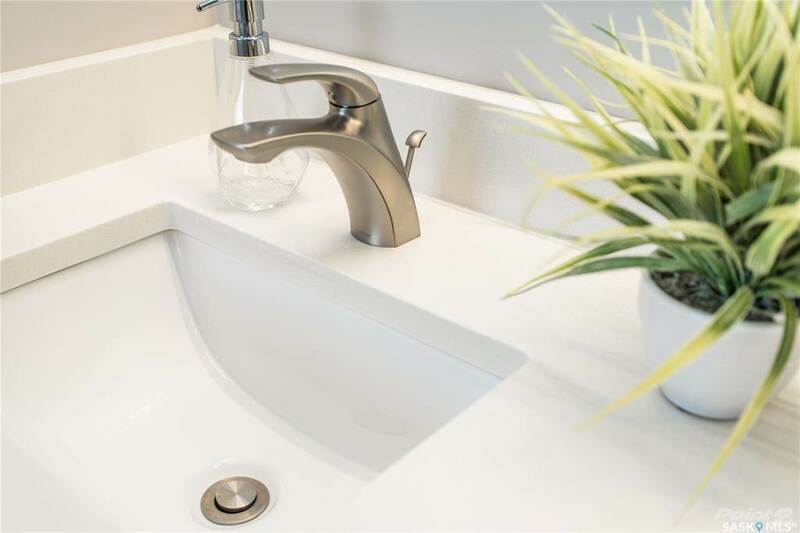 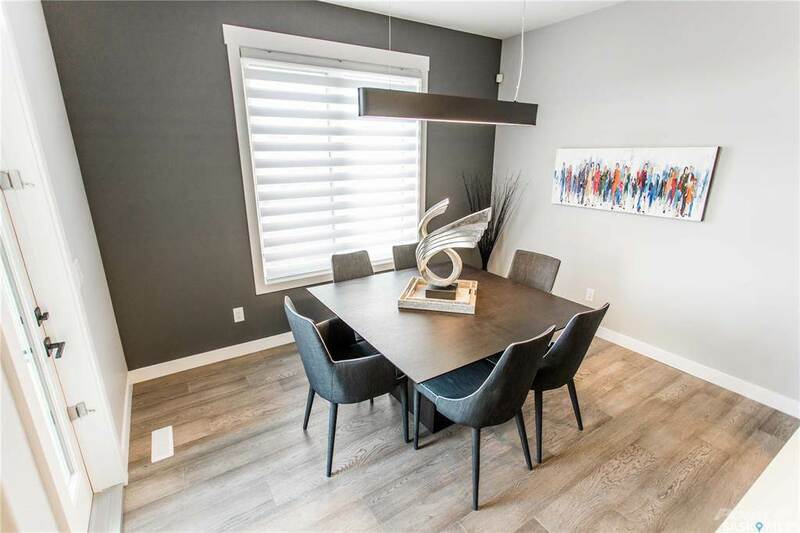 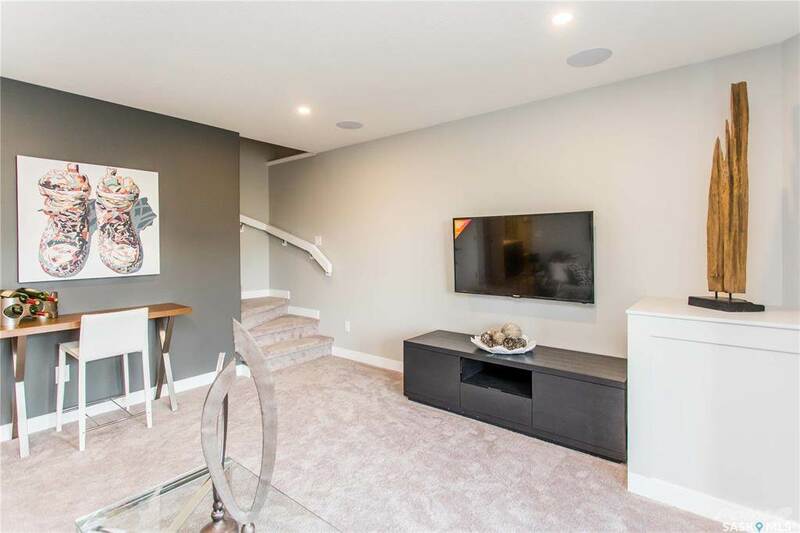 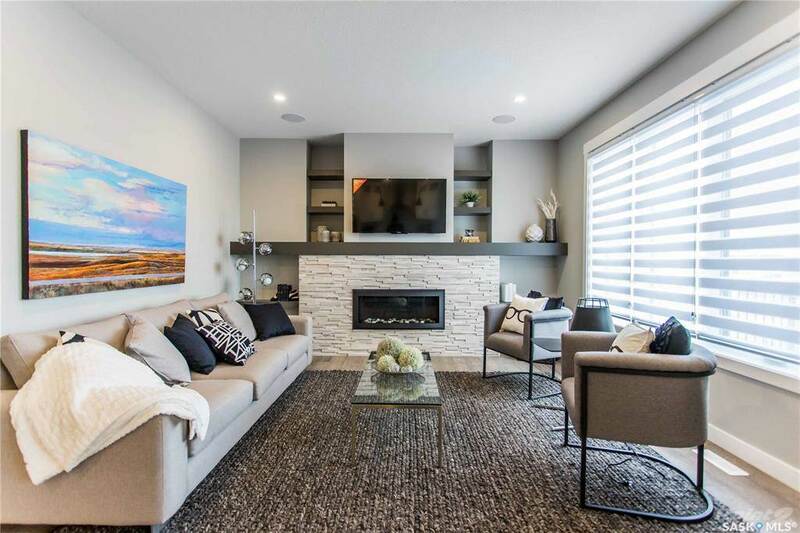 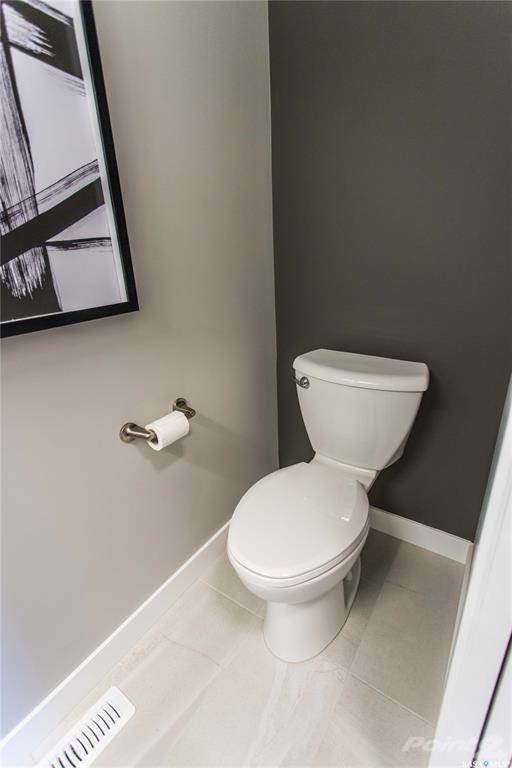 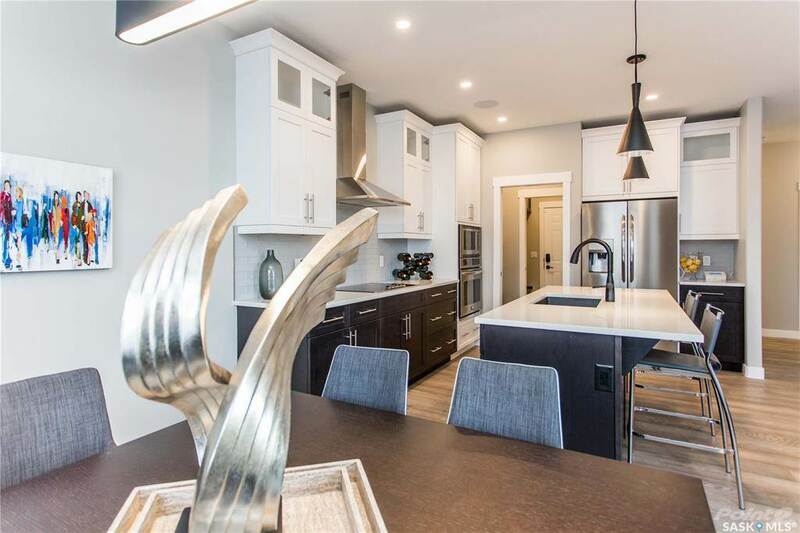 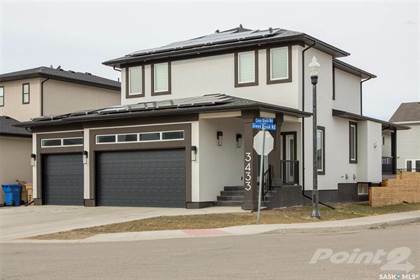 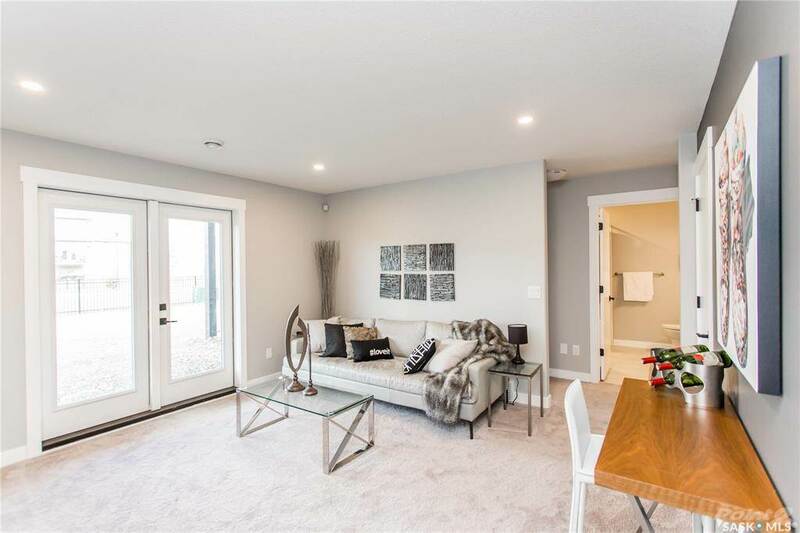 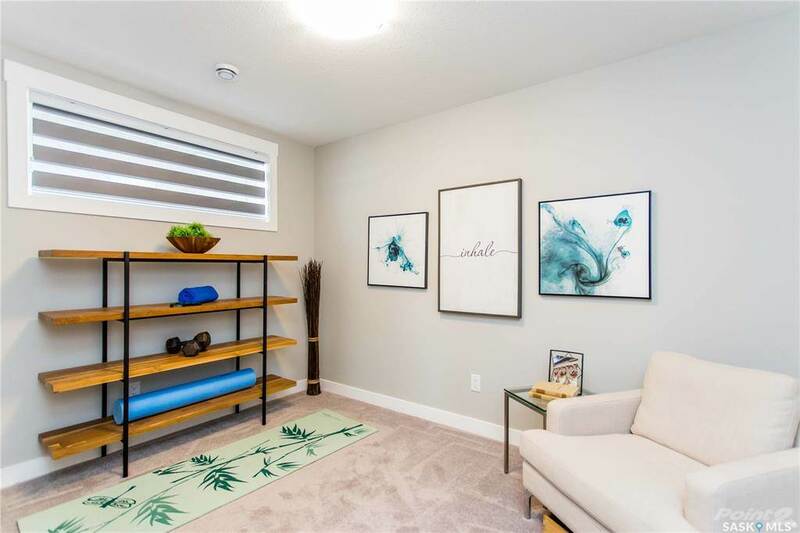 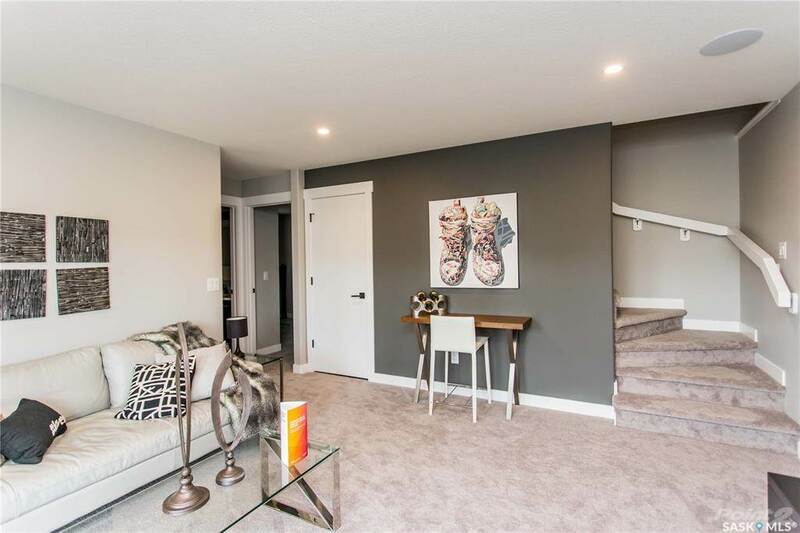 This modern two storey home is 1918 square feet on the main and second floor and additionally features a finished walk out basement complete with two bedrooms and a full bathroom. 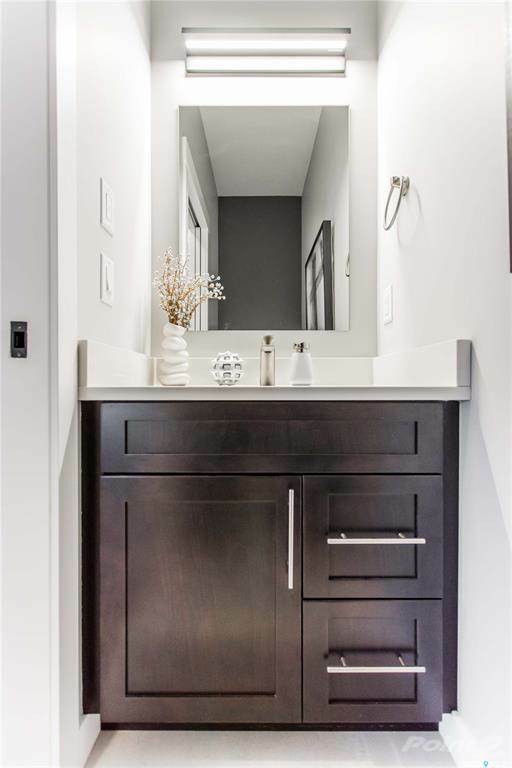 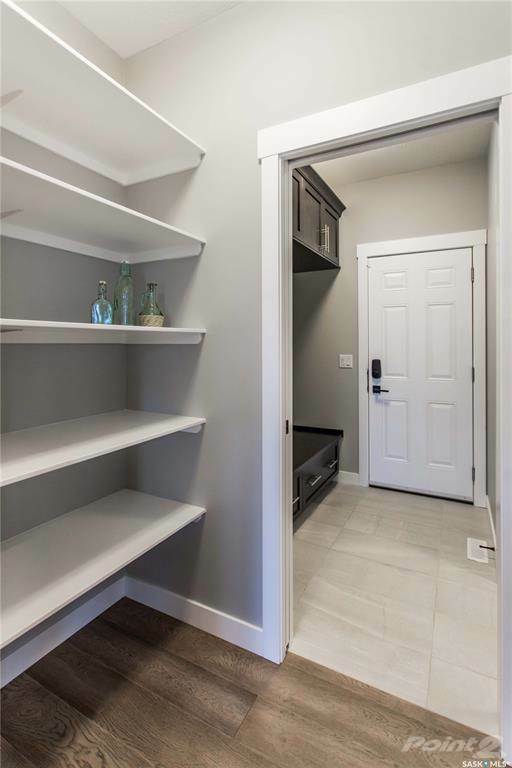 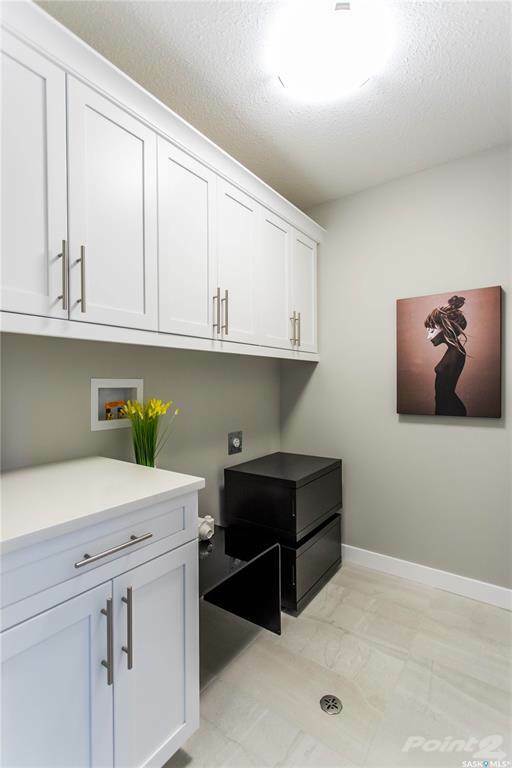 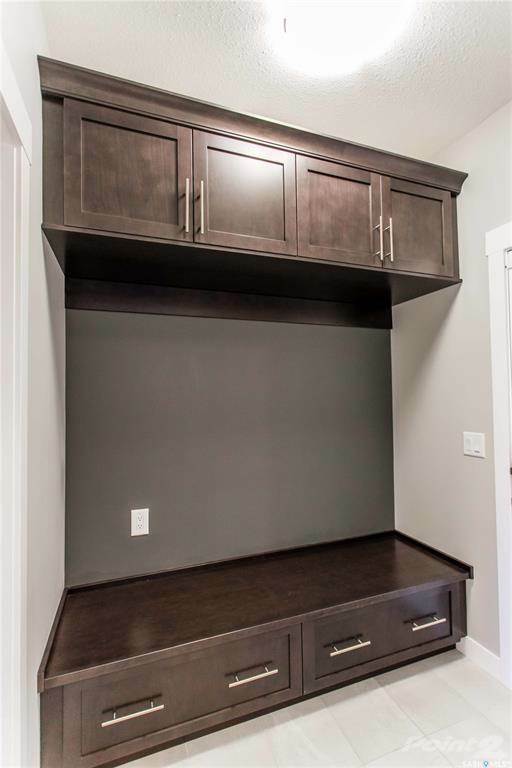 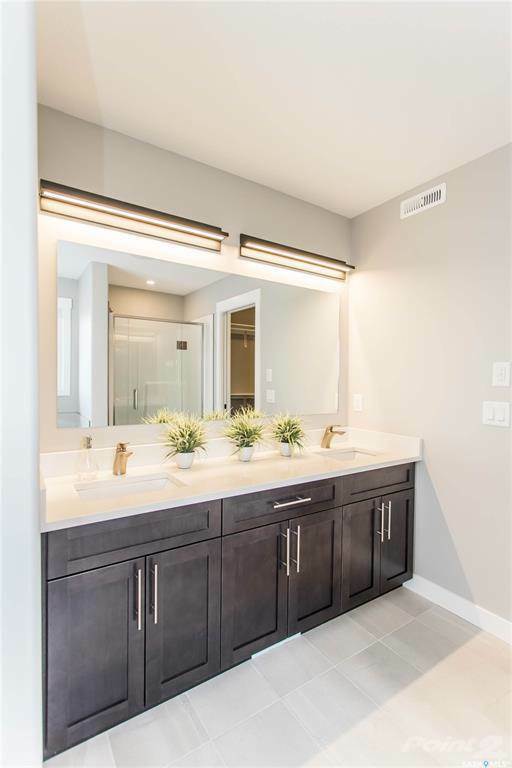 The main floor features build in cabinetry in the mudroom that provides quick access to the main floor half bathroom and a walk through pantry into the large kitchen area. 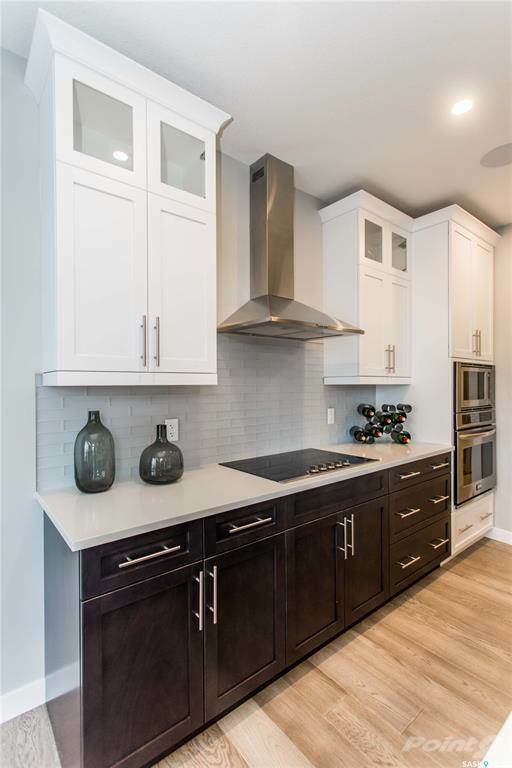 The kitchen features modern cabinetry, stainless steel appliances and upgraded lighting and hardware. 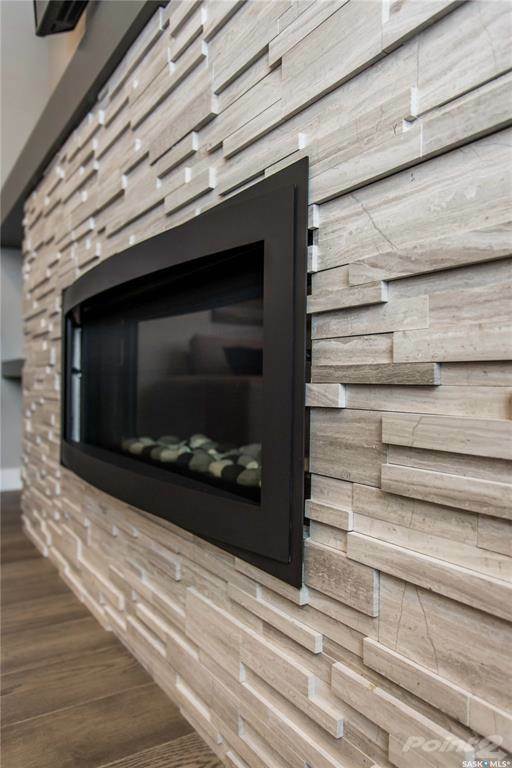 The great room hosts a modern fireplace with stacked stone and a maple mantle with additional shelving. 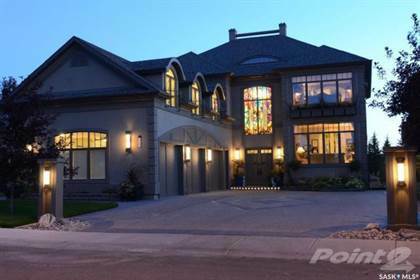 Large windows in the great room and dining room over see a park view. 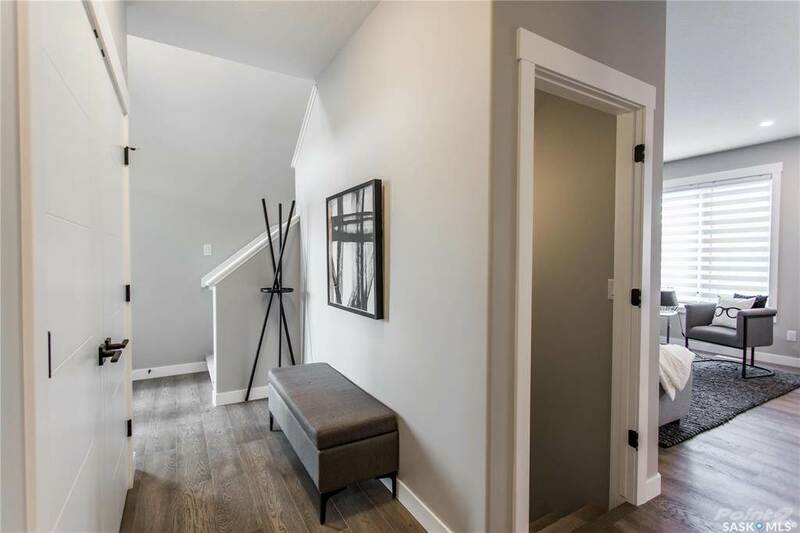 The second floor features a large bonus room overlooking the park view and its walking paths. 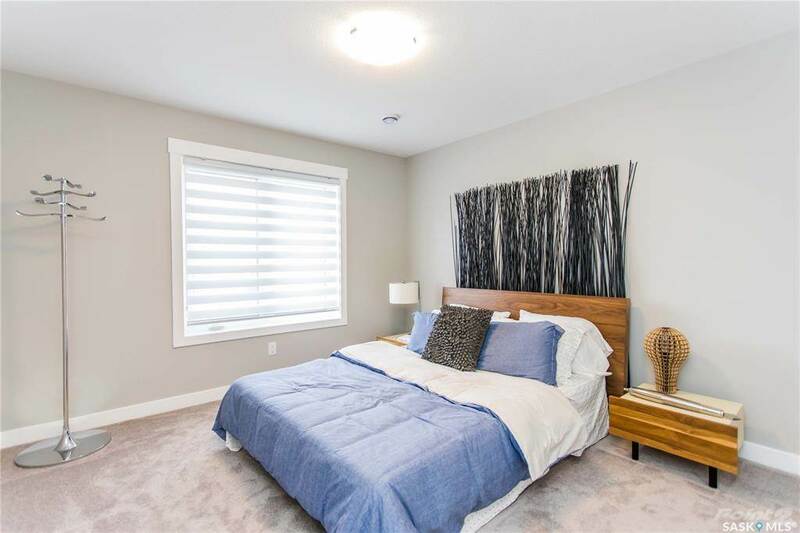 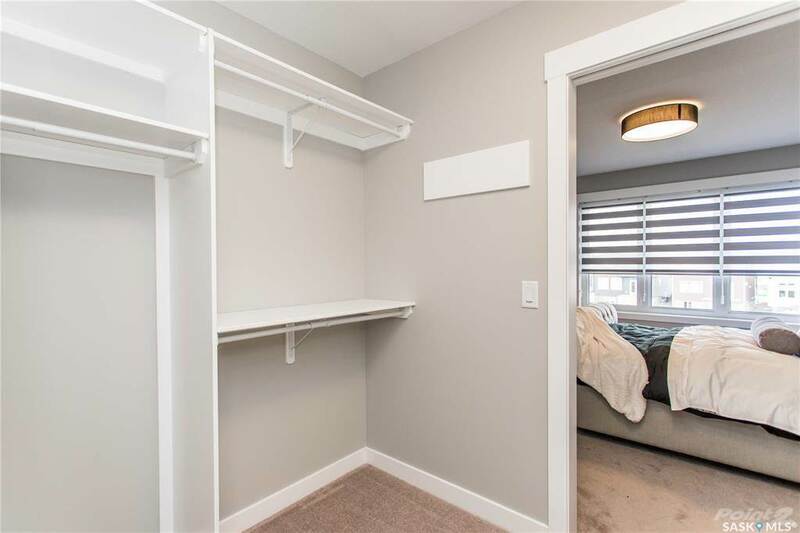 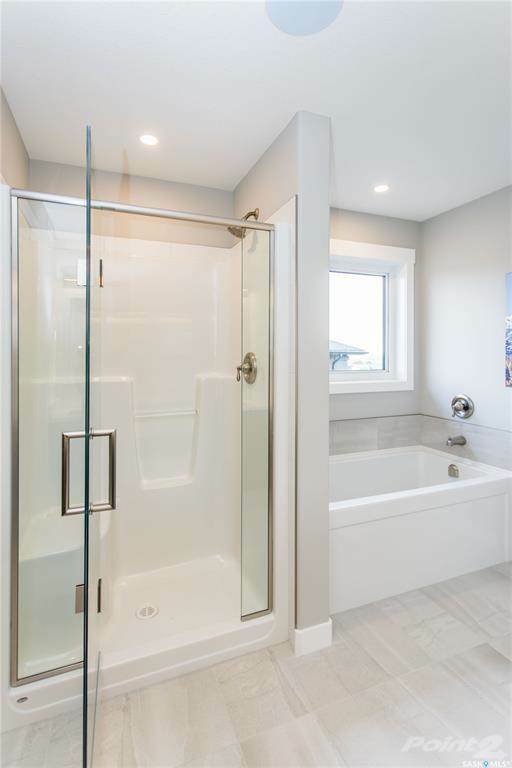 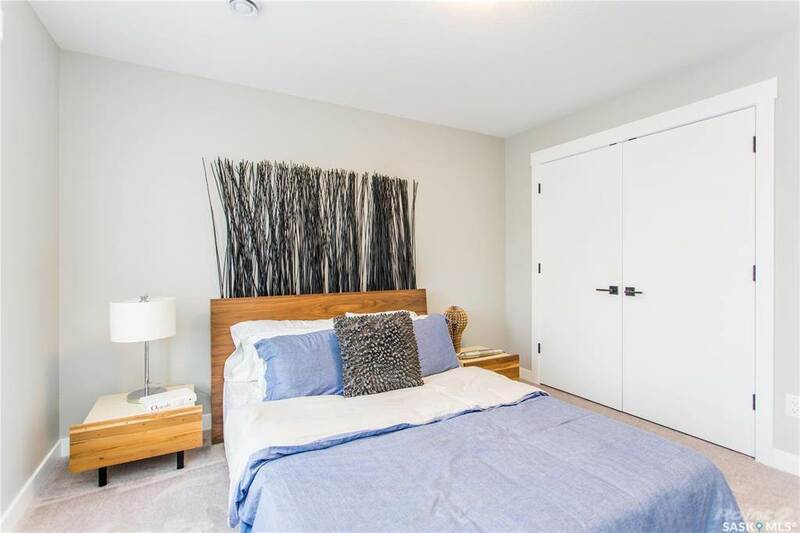 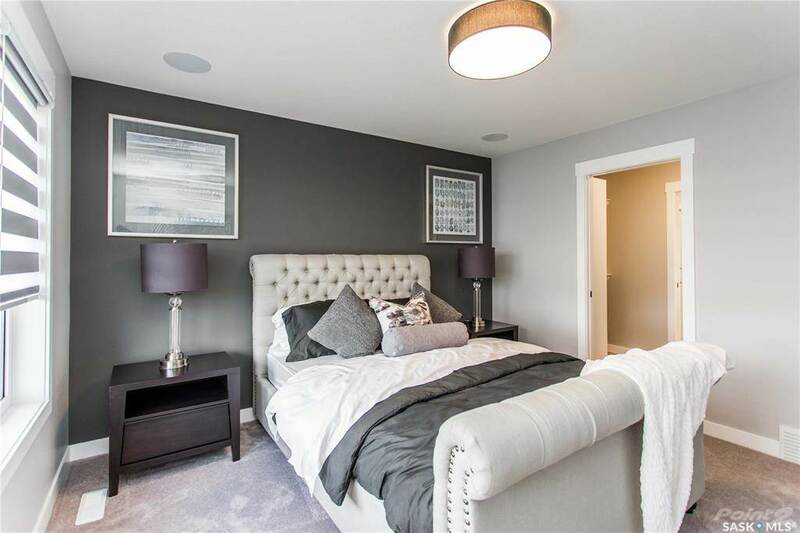 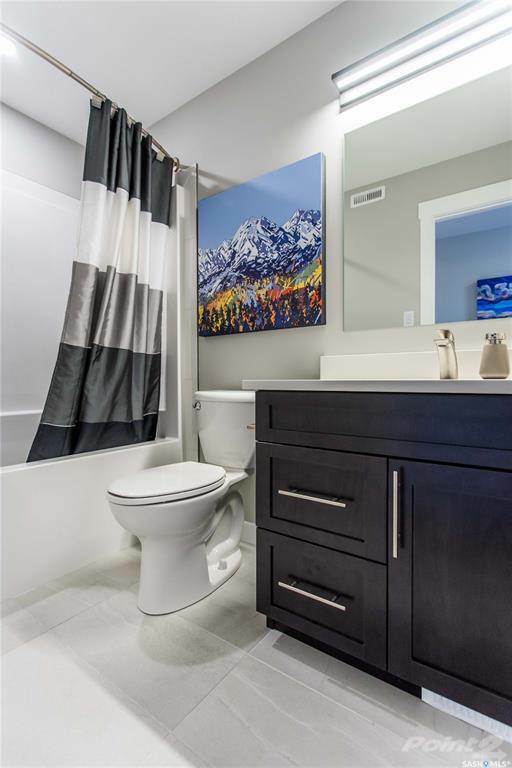 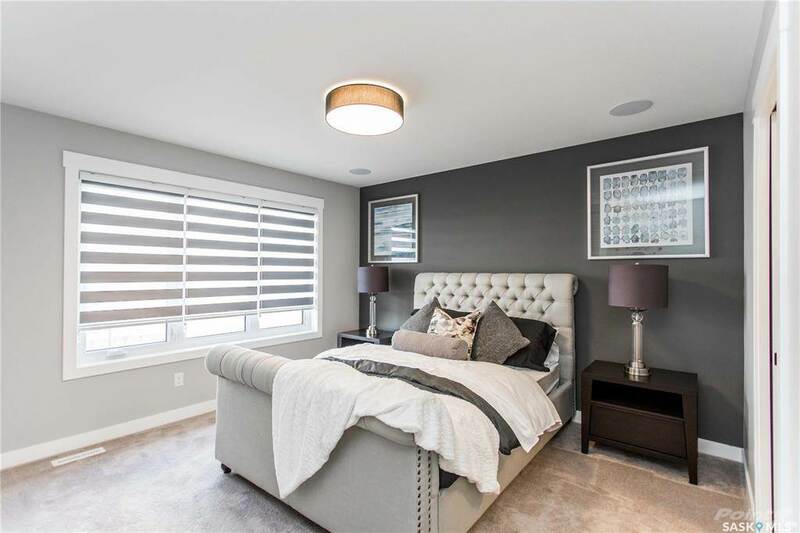 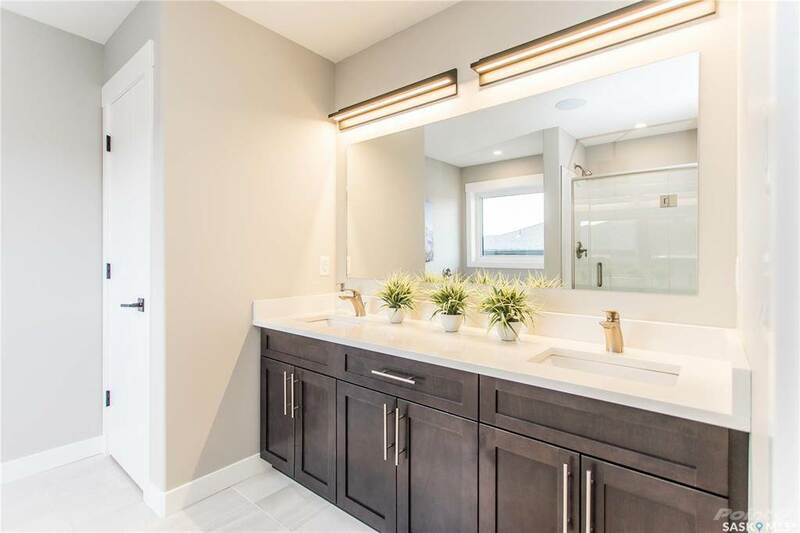 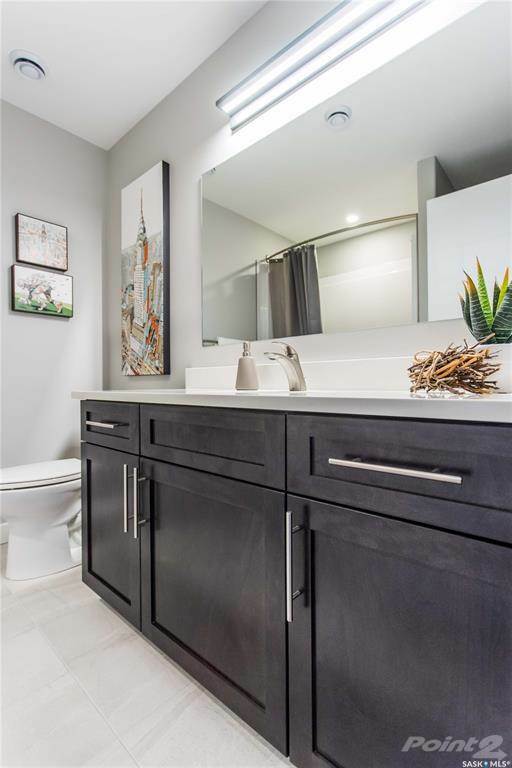 The master bedroom is a large size and features a walk through master closet in to the ensuite featuring double sinks, stand up shower with glass door, soaker tub and private toilet room. 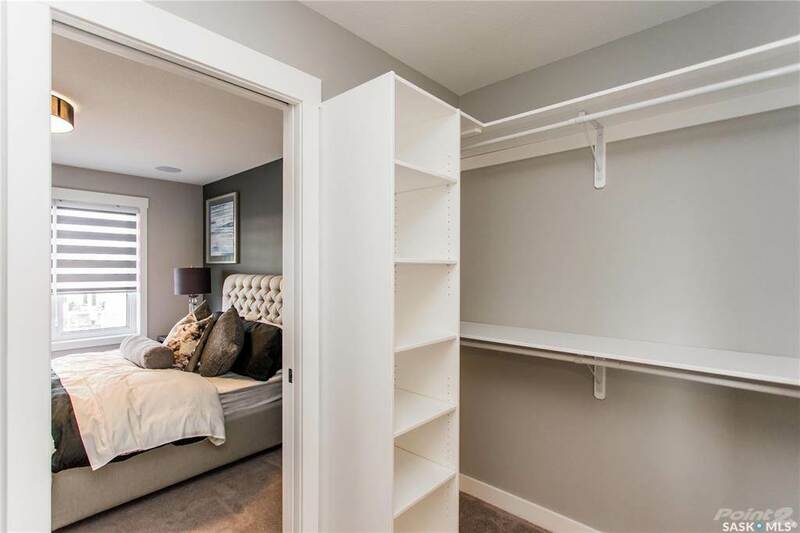 The second floor also features two nice size bedrooms, a full bathroom and laundry. 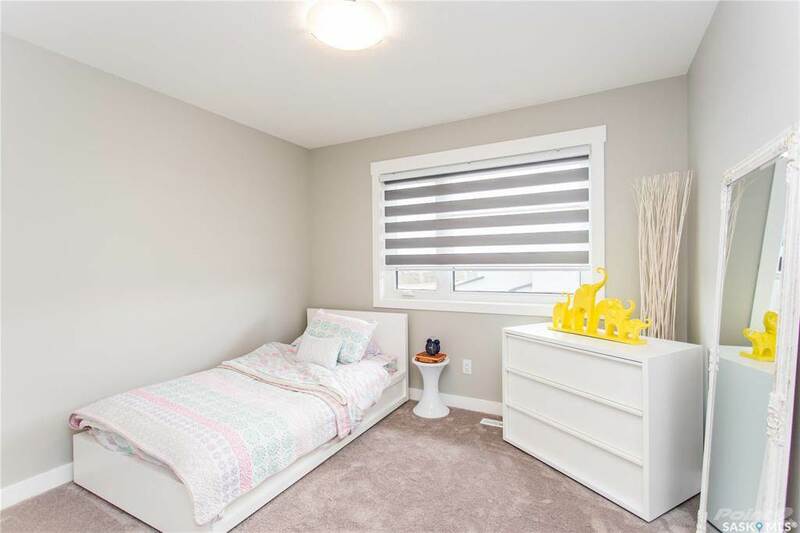 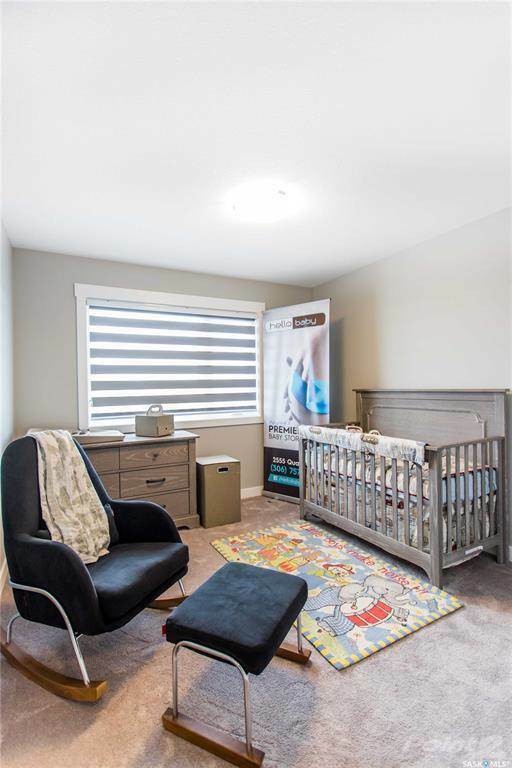 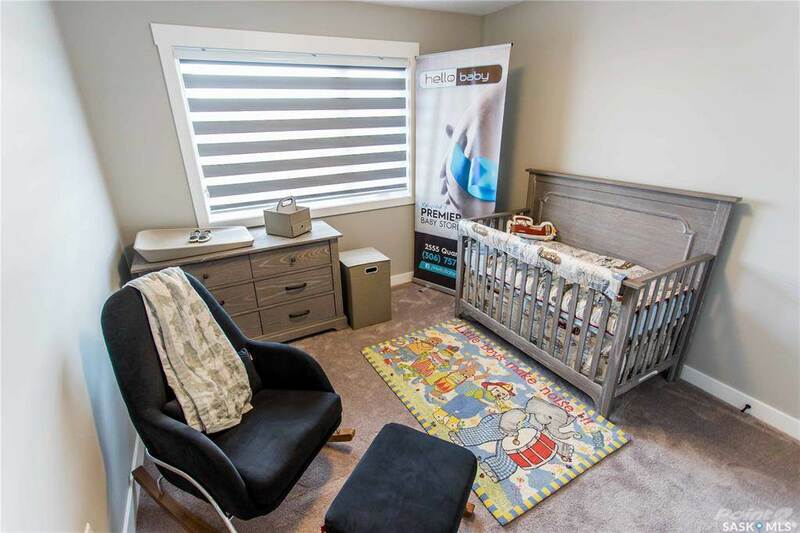 This home is located only steps from the brand new Public/Catholic Elementary School and day care. 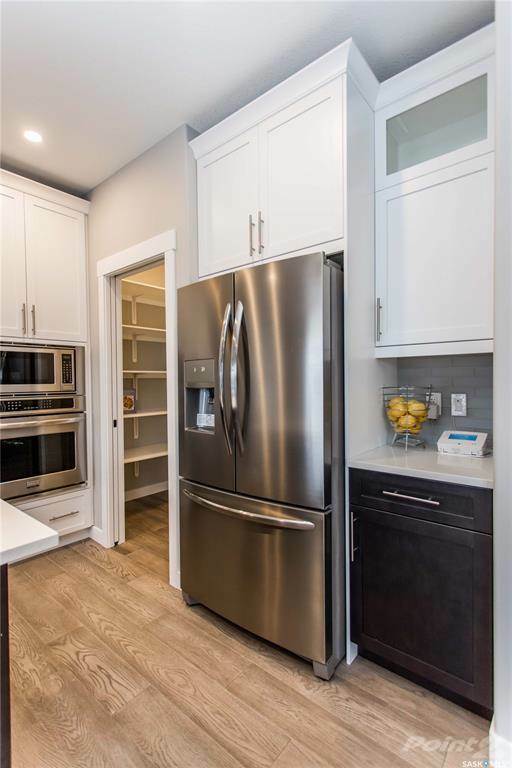 The location is also only a few minute walk to the brand new commercial development “Acre 21” which features groceries, gas, pharmacy and numerous other dining and shopping options. 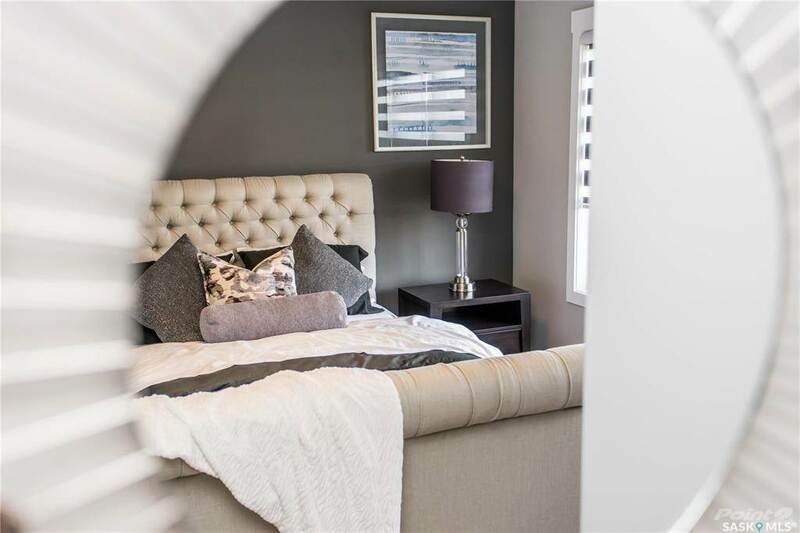 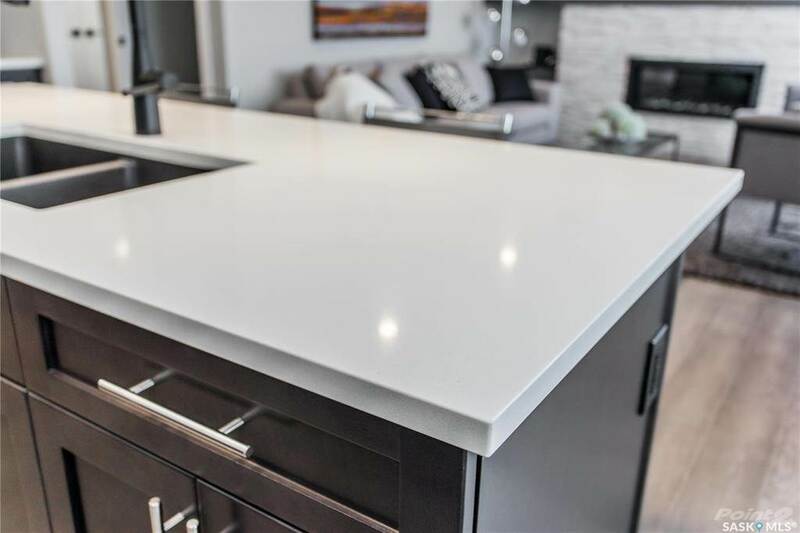 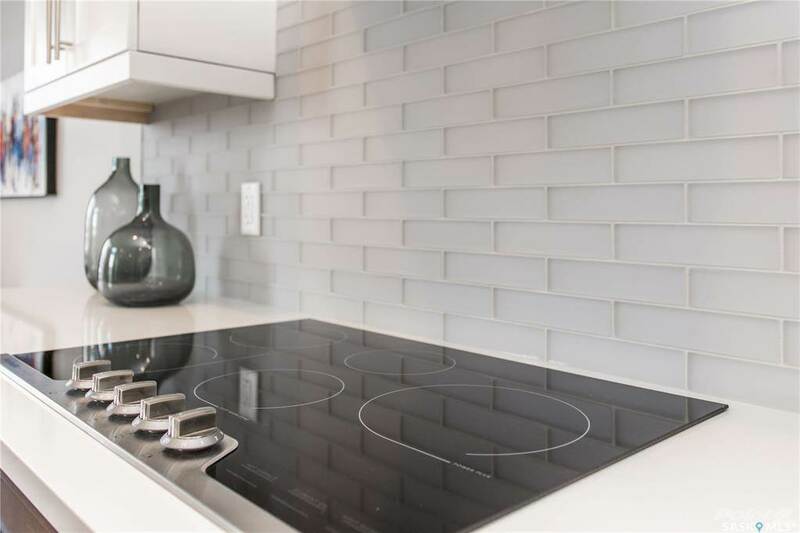 Luxury meets convenience living on beautiful Greenview Crescent. 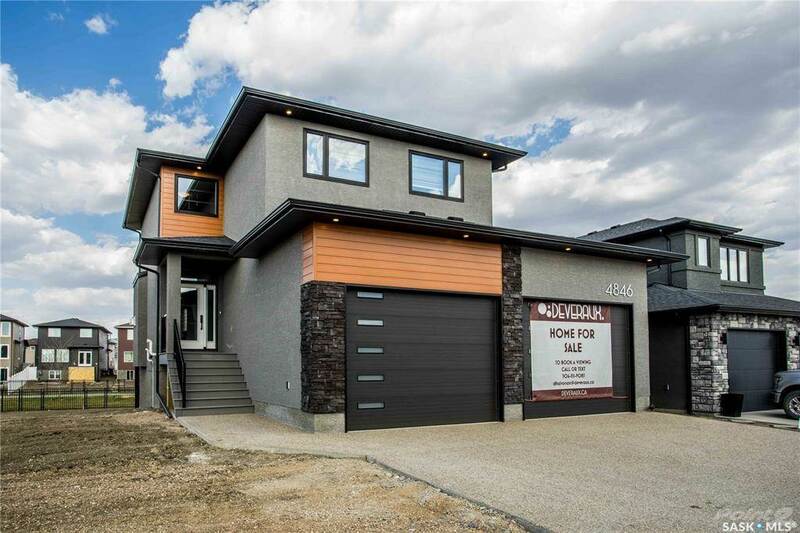 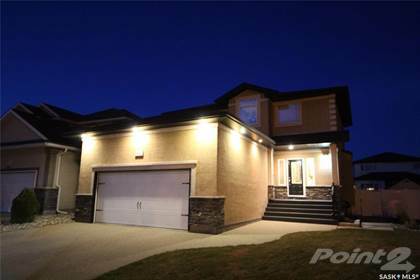 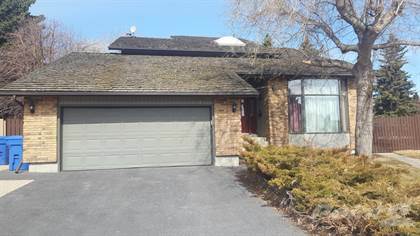 I am interested in 4846 Greenview Crescent E, Regina, SK.